Do you know about the cache memory? Cache is a temporary area which store different kind of data either any app or website. When cache memory size is increase you phone speed is slow down. 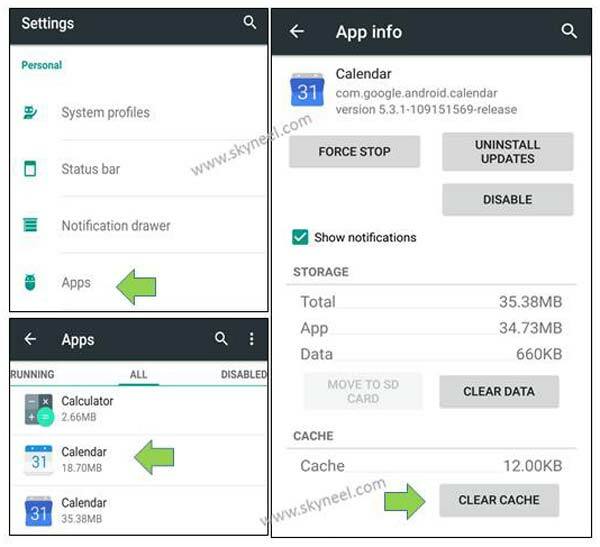 Now, there is no need to worry this article helps you to wipe cache and data on Android phone. First we have to discuss about the cache memory. Cache memory is a place which store any website or application data.The cache memory is used to quick load any website or app, there is no need to download it again. The cache memory not only occupied space on your Android phone but also reduce the phone speed. 1. You can easily free lot of space on your phone memory. 2. Increase the phone speed, after the clearing the cache memory. 3. It will fix crashing problem of different apps. 4. You will be able to view latest version of any web page or any app after wipe cache and data on Android phone. 1. The cache memory occupied space on your phone memory. 2. Reduce the speed of your Android phone. 3. Does not show latest version information of any web page or any app. 4. Apps does not working properly & also generate problem during opening any web page. 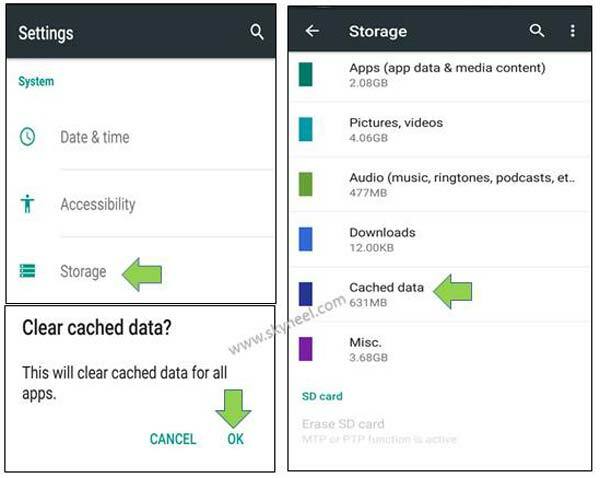 There are two ways from which you will be able to easily wipe cache and data on Android phone. If any app occupied lot of space and also generate problem in your Android phone. Then you will be able to easily clean the cache memory of any app. Step 1. Go to the system Settings on your Android phone. Now tap on the App option which is available in the Personal group. See in the below image. Step 2. Tap on the All options. Select any required app which cache you want to remove, then tap on the clear cache option. See in the above image. Step 1. Go to the system Settings on your Android phone. Now tap on the Storage option which is placed in the System group. See in the below image. Step 2. Here you can see cached data and cache data size, so tap on the Cached data to clear it then after tap on the OK button. See in the above image. You can also wipe cache memory and data from recovery mode of your Android phone. This process will be depend on the model of your Android phone. 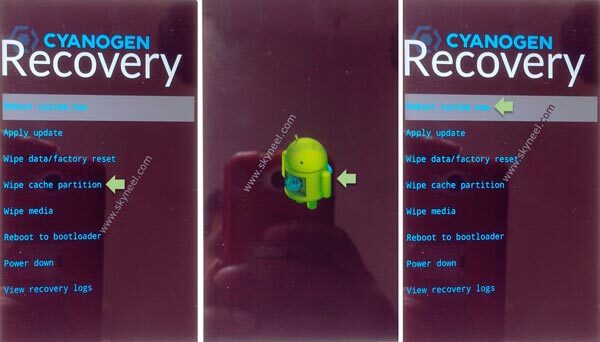 Have a look few simple steps to wipe cache memory and data of any Android phone from recovery mode. Step 1. Turn off your Android phone or device and after few second press and hold Power button along with Volume Up and Down button simultaneously for few second or until boot logo comes. See in the below image. Step 2. Now, you will get recovery mode, here you will get different options. Now, find and tap on the “Wipe cache partition” option. After that cache cleaning process will be started and it will take 2-10 minute to complete the process. Sometime it will take long time to clear cache, so do’t worry and wait for finish cache cleaning process. After complete the process tap on the Reboot system now option. See in the above image. I hope after reading this article you will be able to easily Wipe cache and data on Android Phone. After that your Android phone will work faster. If you have any suggestion regarding this article then write us in the comment box. Thanks to all.